What is your budget? Knowing your budget is one of the most critical things to know before you begin planning. 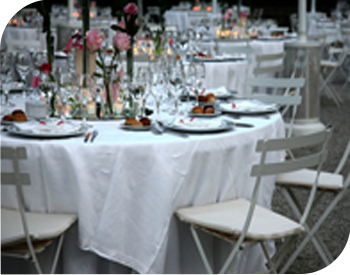 Your budget is the item that will determine how many people you can invite, what kind of decorations you can purchase and the extent of the food service and selections. summer-wedding-cater. How many people do you want to invite? Planning a party for twenty or thirty people is a much different exercise than planning a party for one hundred or more. Make a list of the people you simply must have at your party and then create another list of the people you’d like to invite. For holiday parties, it is safe to assume that 80% of the people you invite will be able to attend. Where are you having the party? If you are planning on having a large group or a mix of people that include both work and family, then you may want to consider a location outside of your home. Consider art galleries, zoos, and community centers as possible locations for your holiday party. A location outside of your home may mean that you do need to decorate as well. Will you need help? If you are having a large party, then consider hiring help. Everything from professional bartender to teenagers who can help serve and wash dishes can make your holiday party a success and a much less stressful event for you. What kind of food would you like to serve? There are so many options for holiday party food. Some parties are well-suited for a sit-down dinner, while others prefer a cocktail hour. Make sure to take into consideration any guest with a significant food allergy, vegetarians and children so that each of your guests leave happy and full. Planning a holiday party that makes memories is not a difficult process. By asking yourself these questions you can develop a plan that will not only help you plan, but make the evening fun for you too. Previous Previous post: Is it Your First Thanksgiving? Thank you so much for your help with the Rick Schoepe Benefit. It turned out to be bigger than we expected. If it wasn’t for you and your staff, it would not have been as successful.